In complimenting a scarcity in the literature, an attempt on contrasting normalized electro-galvanization techniques is being pursued here. The alleged superior plated-overlay performance in association with pulse plating was verified opposite conventional direct-current plating in two types of acid baths contrasting in micro-throwing power under which chloride- and sulfate-based baths, epitomized the superior and inferior throwing power baths, respectively. It is granted that galvanizations stemming from chloride-bath plating reigned superior overall, as far as favorable performance is concerned, relative to their sulfate-based counter parts. However, nanocrystalline zinc deposit refinement, coherence and coverage were rendered more pronounced in attribution to shorter bursts of high amplitude pulsing. The nanocrystalline zinc canvas, nonetheless, seemed to retreat before a surge of incoherent micro-scale formations (dendritic, in case of chloride and flaky, in case of sulfate baths) with onset of prolonged pulsing ahead of ultimately succumbing to near extinction with DC-plating deployment. That being established, a noticeable tendency towards cracking and eventual spallation did emerge as a unique attribute of sulfate bath in response to embarking on longer pulsing intervals (namely, by a threshold of 0.1 ms). The evolution in nanostructure translated into a deteriorating corrosion performance that marked the progression towards extended pulsing times on the approach to DC-realms after potentiodynamic polarization testing. The investigation put forth was undertaken utilizing funds awarded by the university of Bahrain deanship of scientific research [UoB-DSR] under Grant No. [2013/13]. 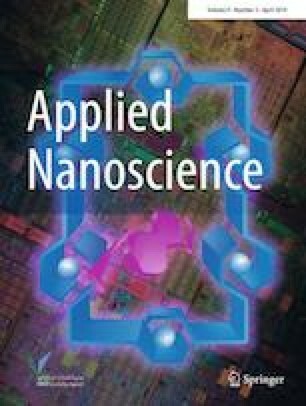 The authors would, expressly, wish to extend their gratitude for the efforts exerted by King Fahd University for Petroleum and Minerals through the center of excellence in nanotechnology, spearheaded by Dr. Zain H. Yamani, Dr. Abbas S. Hakeem and Mr. Omar W. Saadi in facilitating the investigative needs of the collaborative work at hand.